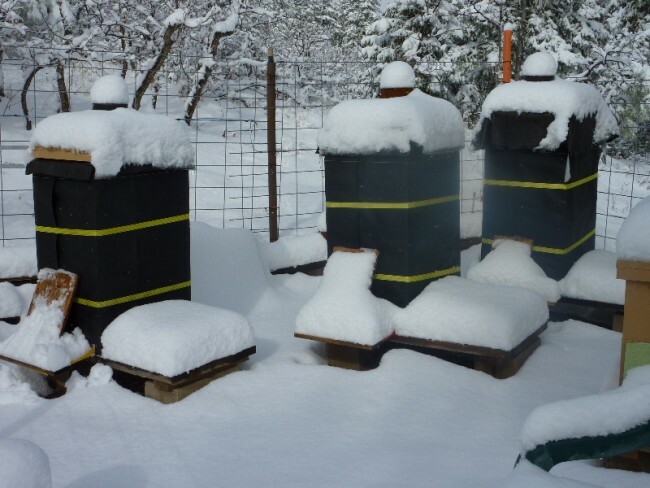 Steve says: My hives are encased in 2 inch rigid foam and wrapped with tar paper. The gallon can on top is full of sand as a dead weight. In the middle background is a solar powered electric bear fence. Beekeeping in Colorado!